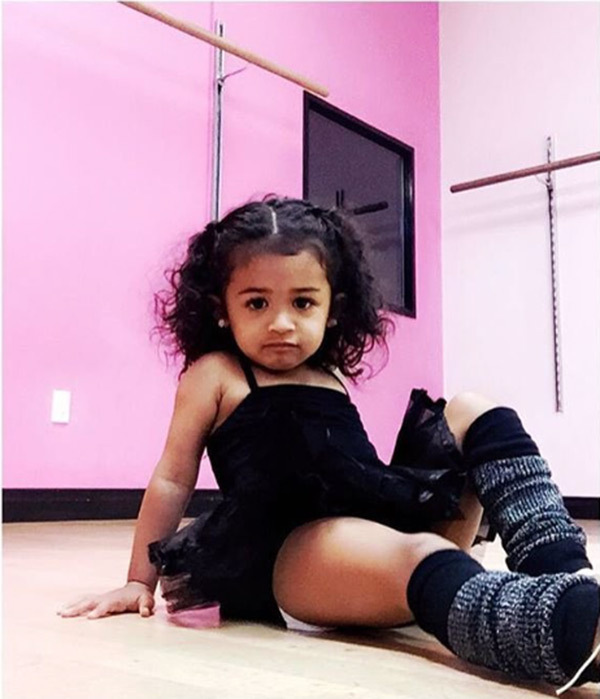 Chris Brown's daughter's mother, Nia Guzman, dressed their two year old up in a tutu for dance class, had her pose, and posted the picture online. Chris, rather than speaking to Nia directly, started an issue on Instagram. Okay, so here's what went down. Chris Brown, who famously beat up Rihanna, decided that he thinks this photo of his two year old daughter sends the wrong message. Because of this, he started an Instagram war with baby mama Nia Guzman. There are definitely two sides to this Royalty Brown story, as there are to most. I do agree that this pose isn't a typical child's pose. It's likely that she was placed into this position. And yeah, it's not a cute, innocent pose by any means. But this kid is two, and it's pretty clear - this picture is totally innocent. The outfit, in my opinion, is totally fine. She's a kid taking ballet class. Lots of kids wear these outfits every day and nobody says a thing. You know, because they're kids, so it's no big deal. I've taught dance classes; these outfits are manufactured for kids, they cover everything appropriately, it's all good. The kids can dance freely and have a great time. What it comes down to is this - if the outfit was pink or the pose was a little more innocent, I don't think Chris Brown would have had an issue. And while I don't think Nia did anything wrong, it might have been in bad taste to post this particular picture when there may have been more childlike ones to choose from.